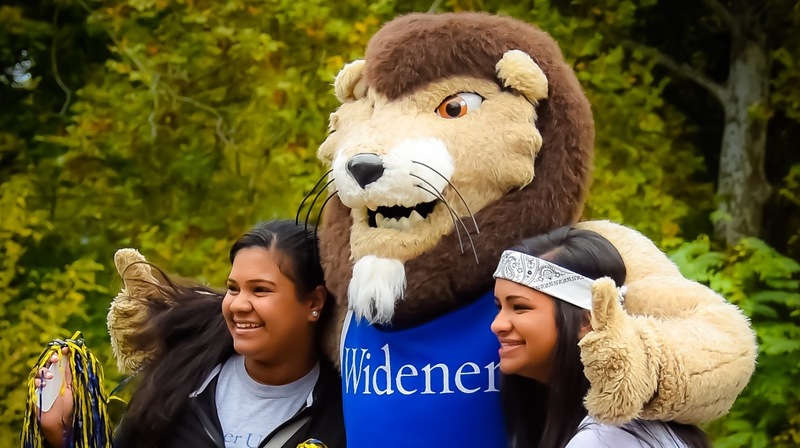 Saturday, October 14th, MAC Football news will be at Widener for our Feature "Game of the Week!" This game is very important for Widener who is still in the hunt for the MAC Championship Crown. If the Pride wins their next three games (Lycoming, Stevenson and King's), they will face Delaware Valley for the MAC Championship. That of course assumes that DelVal does not lose in the process. But, Lycoming will not be easy as they seem to have settled in with a quarterback that has posted great numbers the last three games. Lycoming however will have to overcome the embarrassment of their last game in Chester, PA. That game was a 48-7 blowout by the Pride. Last year, Widener spoiled the Warriors Homecoming in an exciting 24-21 OT win at David Person Field. After recovering its second fumble on as many possessions in the waning minutes of regulation, Lycoming came within a point at 14-13 when Chase Whiteman tossed a 41-yard touchdown pass to Nick Costello with just 16 seconds left. The Warriors initial attempt at the point after was fumbled, but a Widener penalty for a neutral zone infraction gave the hosts another chance. Devon Flynn converted on his second attempt, and the teams headed to overtime knotted at 14. After the teams came up short again in the third overtime, Widener gave itself a chance by shutting down Lycoming and ending the drive with a sack courtesy of sophomore Vince Char (Southampton, Pa.). Three rushes by Randle pushed the ball ahead to the Lycoming 16, and Raczak came through for the second straight game by kicking the ball through the uprights from 33 yards away to end it and give the Pride the victory. The last time Lycoming has defeated Widener was in 2013. The Warriors upset No. 24 Pride 16-14 with a late field goal. Having not attempted a field goal all season, senior Zack Czap (Philipsburg, Pa./Philipsburg-Osceola) tied the school record with three, his last a 33-yarder with 2:24 left to lift the Lycoming College football team to a 16-14 Middle Atlantic Conference win over 24th-ranked Widener at Leslie C. Quick Jr. Stadium on Saturday afternoon, Sept. 28. Mr. MAC will pick a winner in this game Thursday Evening.